Like most choruses, you're probably booking a multitude of holiday performances, including some good old fashioned caroling. But... and we hate to mention it... those songbooks may be looking a little worse for wear. Or maybe your membership drive was so successful that you need a few more! 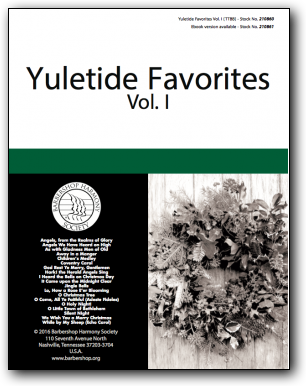 Whether you're adding to your music library or replacing worn copies, our refreshed Yuletide Favorites, Vol. I has been completely re-engraved to match the old version note-for-note, measure-for-measure, page-for-page so that they can be used alongside older library copies that are still in good shape. It even has a spiffy new cover to match the new Vol. 2! Is your ensemble going fully digital? No problem, we've created a downloadable version.